There will always be distractions. But there will always be grace to overcome those distractions. We don’t want to be so distracted that we miss God’s presence. So we thought it would be wise to address the elephant in the room . . . those pesky distractions . . . that keep us off mission and cause us to forget our vision . . . and deal with them biblically. Is it smart phones? Relationships? Spiritual warfare or poor time management that keep you distracted from God’s purpose for you?Don’t let distractions of this life keep you from God’s purpose for your life. 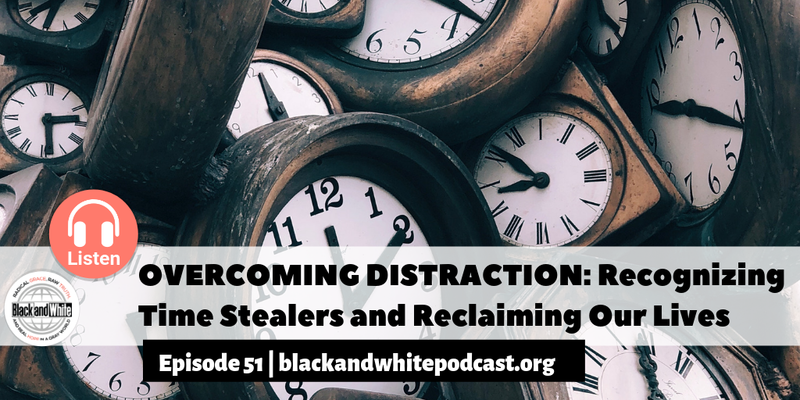 Listen in as Denise and Angela talk about how to overcome distractions and live a focused life for Jesus Christ.